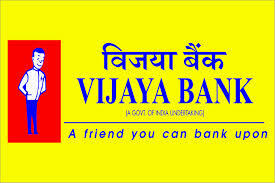 Vijaya Bank has published Advertisement for below mentioned Posts 2018. Other details like age limit, educational qualification, selection process, application fee and how to apply are given below. MSW/MA in Rural Development/ M.A. in Sociology/Psychology/BSc (Agriculture)/B.Ed. etc shall be preferred. Shall be a Matriculate. Knowledge about the Local area and people is added advantage.